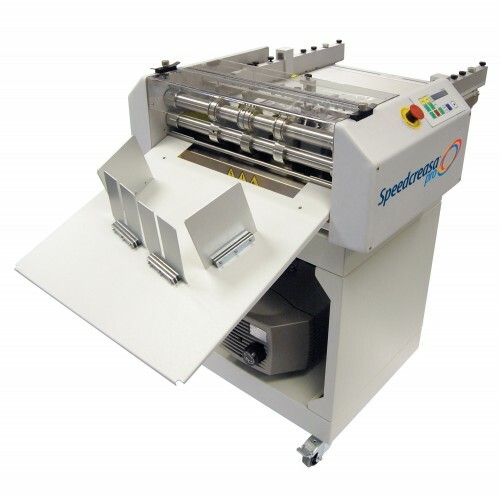 If you are serious about producing quicker platen style creasing that eliminates fibre-cracking on the most difficult of printed stocks, including digital output, the Speedcreasa Pro is perfect for you. This suction fed machine not only produces the quality of crease choices you expect for any type of stock weight and print application imaginable (8 different crease settings) it also produces fine, flat and almost invisible micro perforating and razor sharp cutting applications. The Speedcreasa Pro is designed to be operator friendly using innovative technology.